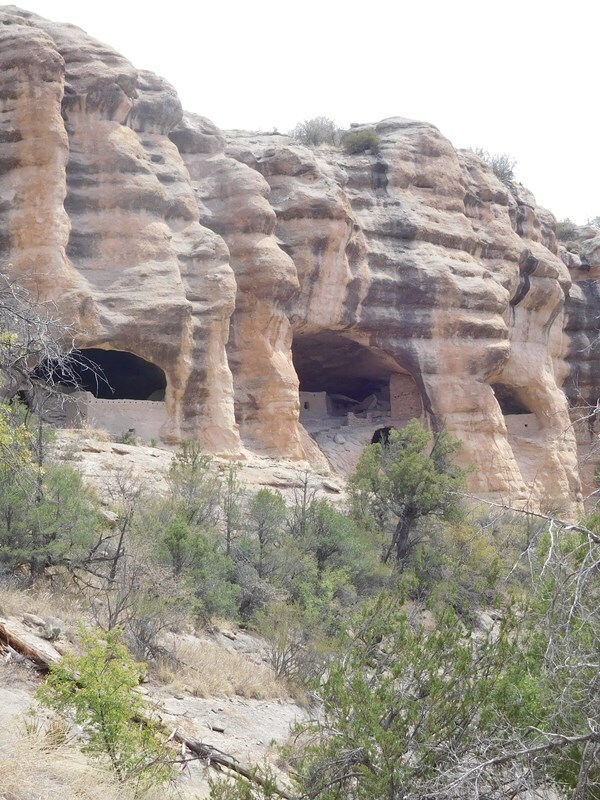 Up about 180 feet from the valley floor, this is the first look at the Gila Cliff Dwellings from the path to them. There are 40 rooms built into five natural caves that were occupied by Native Americans from about 1267 to 1300 AD. The trail to the top is well done but tiring. You can go into the large caves and see most of the rooms. Well done. Visited with my youngest son on 5/25/2017. Arrived at the visitor center and got maps and info on the cliff dwellings.